A young Artesia boy was killed Wednesday afternoon in a two-vehicle collision on North U.S. 285. 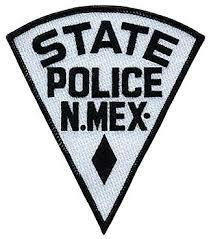 The New Mexico State Police responded around 4:30 p.m. Wednesday to the intersection of 285 and Funk Road near mile marker 76. Preliminary investigation revealed a 2016 Chrysler sedan driven by Janell Archibeque, 47, of Lake Arthur, was turning left onto Funk Road from the northbound lanes of 285 when it was struck by a Toyota pickup traveling southbound on 285. Archibeque and her two passengers, grandchildren Cy Palmer, 7, and London Orona, 2, of Artesia, all suffered serious injuries and were transported to Artesia General Hospital. Palmer, a first-grader at Roselawn Elementary School, sustained fatal injuries and was pronounced dead by the attending physician at AGH. Archibeque and Orona were airlifted to Covenant Medical Center in Lubbock, Texas. Covenant reported to the Daily Press this morning that Orona remains in serious condition, while Archibeque is listed in fair condition. The driver of the pickup was treated and released at the scene by responding medical personnel. NMSP investigators say evidence at the scene indicates the occupants of Archibeque’s vehicle were unrestrained. The wreck remains under investigation, and no further information is available at this time.